The idea of a tote bag for photographers isn’t exactly new, but it hasn’t been done quite effectively just yet. For a while now, what I’ve wanted and personally experimented with as a photographer is a tote bag. 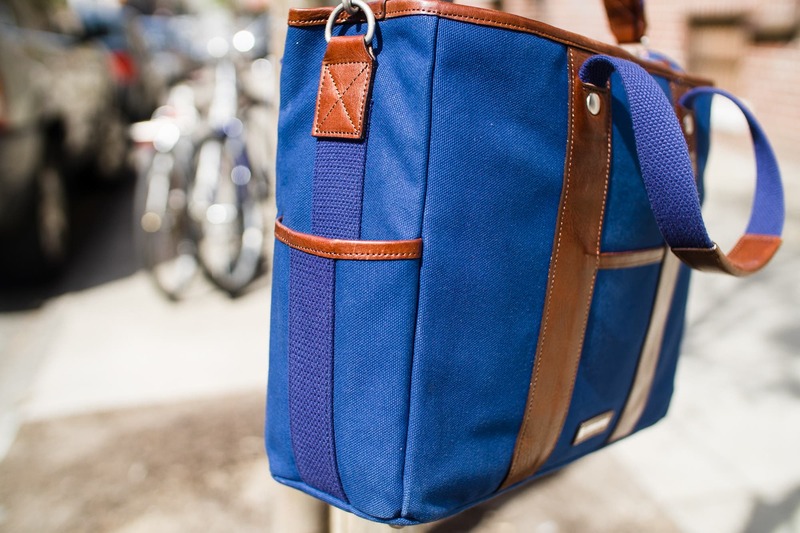 Messenger bags have proven to be extremely effective for the photographer that needs to bring a laptop, camera, lenses and more along with them each day. 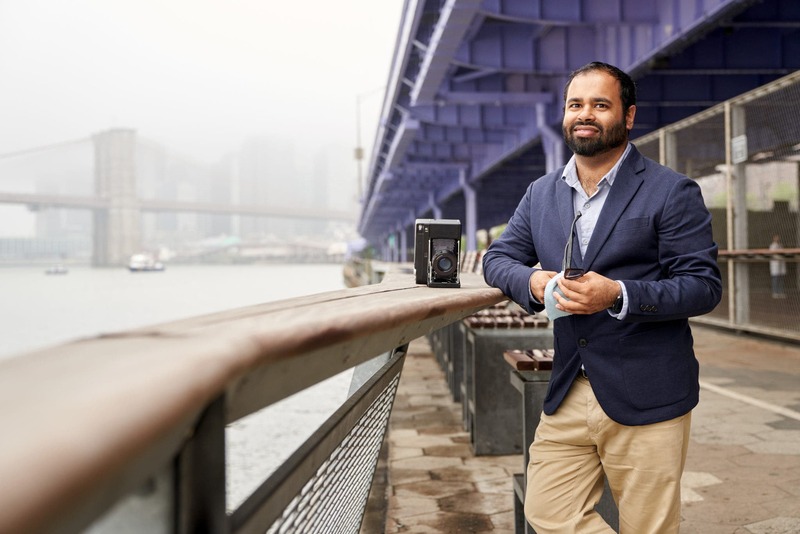 But when it comes to working in a big city and being a business owner, part of being a photographer has to do with looking your part. Watch anything on Netflix or television and you’ll see more and more folks bringing around tote bags that look similar to briefcases in style. The Artisan and Artist company announced their take on the Tote bag with the Artisan and Artist COV 7500N tote bag for photographers. 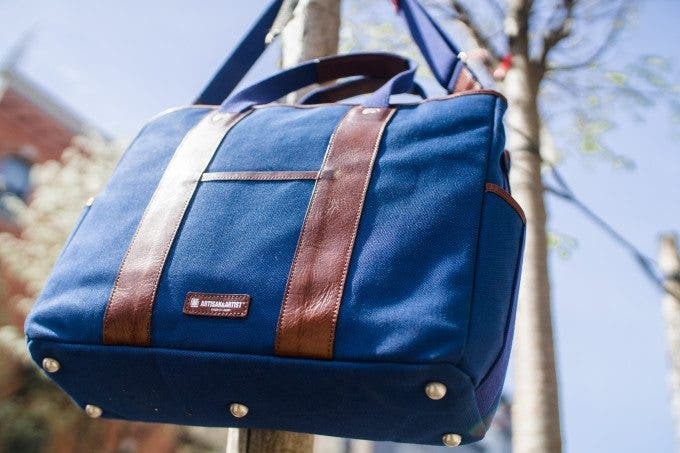 With all the pockets, padding and straps that a photographer can possibly need; the company has succeeded in doing something that some messenger style and sling style camera bag manufacturers can’t do: create a camera bag that truly doesn’t look like a camera bag. With leather accents, canvas and nylon comprising the design, this Japanese-made camera bag has some stylish looks to it and works very well for both genders. But the biggest thing that photographers want to know is how it performs for them. – Able to carry lots of stuff. We put a medium format film SLR and a mirrorless camera along with a Laptop and iPad Mini in there, then stuffed headphones, a book and travel documents in there with no problems at all. – Doesn’t look like a camera bag at all; and because of that it can function as one that is more akin to an everyday bag. – Though it didn’t initially feel so durable to me, the build quality through rain, snow and airplane abuse proved otherwise. – If you want to keep the zipper undone, you have the option of using the included rain cover inside. – Zipper can be a bit tough to work with at times. 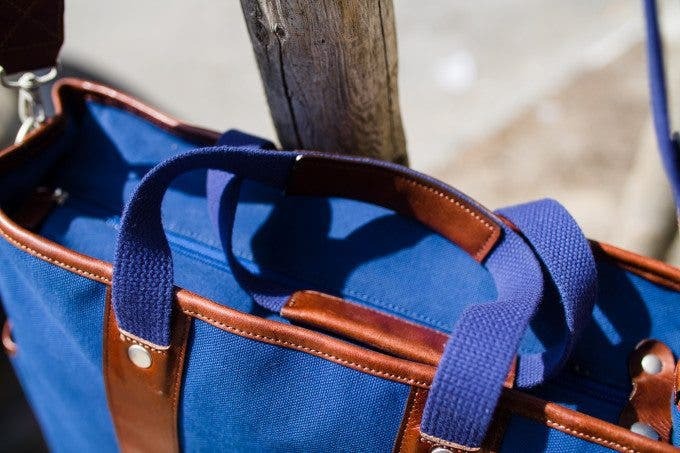 – We tested the Artisan and Artist COV7500N tote bag with the Olympus OMD EM5 Mk II, Mk I, various Olympus lenses, Samsung Nx500, Canon 6D, various Sigma lenses, Apple Macbook Pro 13 inch, iPad Mini, books, leather card cases, Sony headphones, and so much more. The Artisan and Artist COV 7500N camera bag doesn’t have the sexiest name, but the looks are more than enough to make you just forget about it. While it isn’t an ONA bag, it is very much its own beast. We start our ergonomic tour by looking at the front of the camera bag. You’ve go the label on the bottom, leather accents, a small front pocket and the canvas exterior. I would have preferred black, but the brown and blue doesn’t look too shabby. Move around to the top and you’ll find these two handles. They have leather grips for comfort and are actually incredibly nice to hold onto. 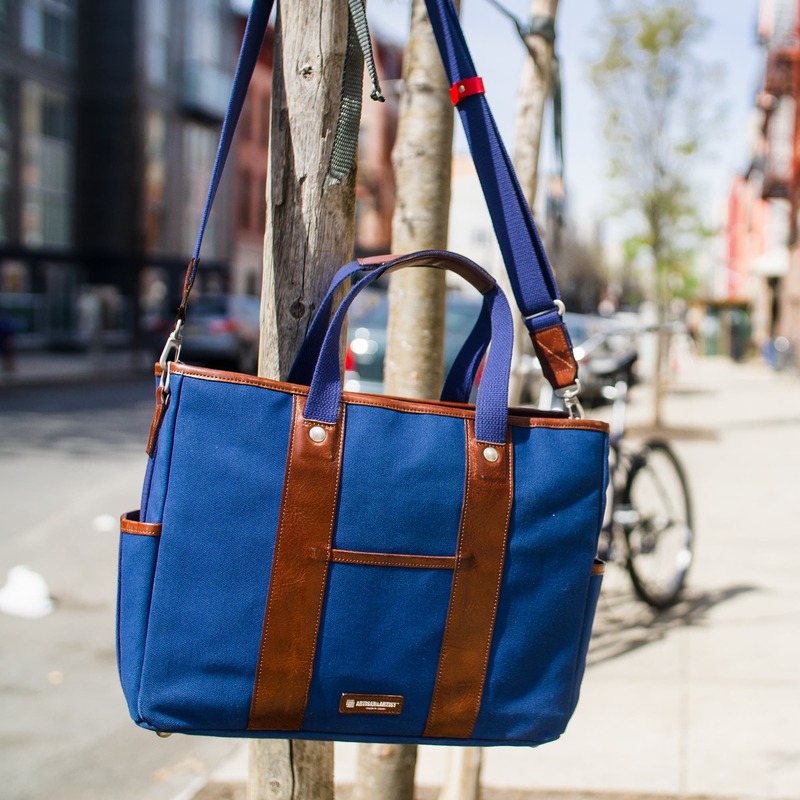 If you’re more of the type that wants to use a shoulder strap, you can totally do that using the provided strap. Right below the straps is the zipper that we talked about. 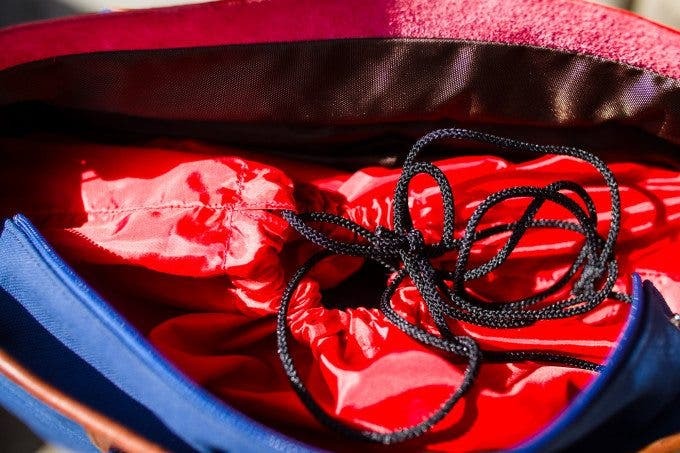 It can be stopped by a leather strap or the strap can be released and the entire zipper can come apart if you want to keep the bag open–which is a option that many shooters may use. Respectfully, if someone is in your bag and you aren’t aware of it, you aren’t paying enough attention to your belongings or your environment. When it comes to the interior, the bag comes with the padded interior protected by this rain cover. For the most part, we rolled it back and around because it otherwise got in the way. The interior of the bag comes with three dividers but for my purposes, I used only one or two. We stuffed mirrorless cameras, film cameras, light meters, books and so much more into here. The padding is quite thick and you don’t have to worry about the safety of your gear at all. 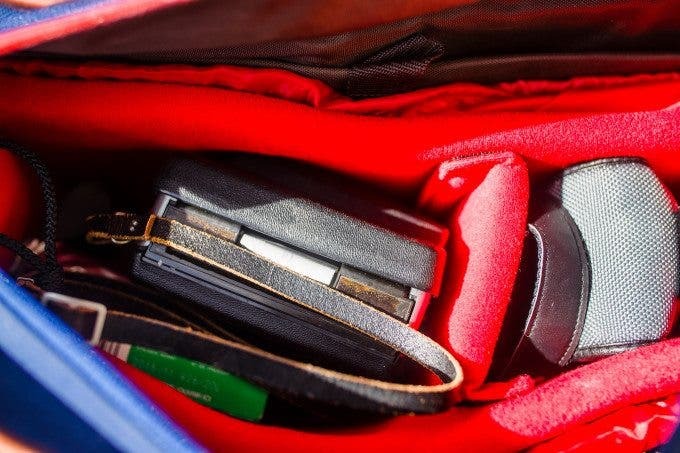 The side of the camera bag has small pockets where you can slip a phone, business card holder, passport, wallets or anything else that’s very thin into. Truthfully, a couple more of these couldn’t hurt. Upon initially getting the camera bag in and tugging on specific parts, I thought that the quality was a bit sub par. Indeed, the small front pocket feels a bit shoddy if you tug on it. But in real life use over the period of a couple of weeks, the COV 7500N withstood incredible abuse, including getting wet in rainstorms. The zipper is a bit odd to use. It can either be fully opened or stopped at a specific point via a leather clasp. The zipper could have been totally eliminated and replaced with a magnetic clip system that would also allow for even quicker access to your gear. Indeed, we’ve often found the clip systems to be superior for quick access if that’s what you’re looking for. If you’re the type of photographer who keeps their camera in their hand though, then don’t worry about this. 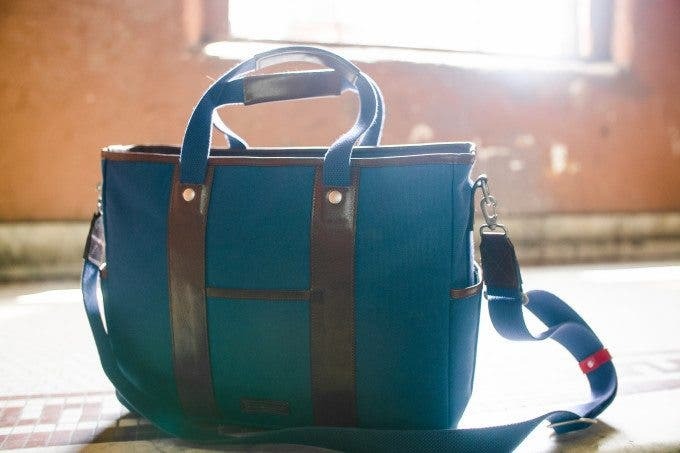 What’s really nice about the Artisan and Artist COV7500N Tote bag is that you’ve got security and lots of customization for the padded interior to store camera gear and more. Admittedly, it can hold so much that at certain times you may just take everything out of the bag to find something. For example, when traveling, I tend to stick painkillers in my bag but they then got tossed around and lost somewhere in the bottom. For situations like this, small pockets that are still very subtle could be useful. The bag has three, but nothing large enough to hold anything thicker than a phone, camera phone lenses, business card cases, passports, etc. Basically, the bag encourages you to pack slim items though it can hold lots of stuff inside. To be quite honest, I never used the included rain cover that protects the padded interior for your gear, though it folds down and around the red padding quite well when not in use. This is a bag that isn’t really designed for the DSLR user that has loads and loads of lenses. If anything, you’ll be able to stuff a Nikon D810 into here with a couple of small primes. But don’t expect to be bringing out a 24-70mm or 70-200mm. For those, dedicated messenger bags and backpacks are still the king. For the mirrorless photographer, you’ll be able to stuff lots of lenses into here and still have room. In many ways, we want to say that this camera bag is much better for those types of shooters. 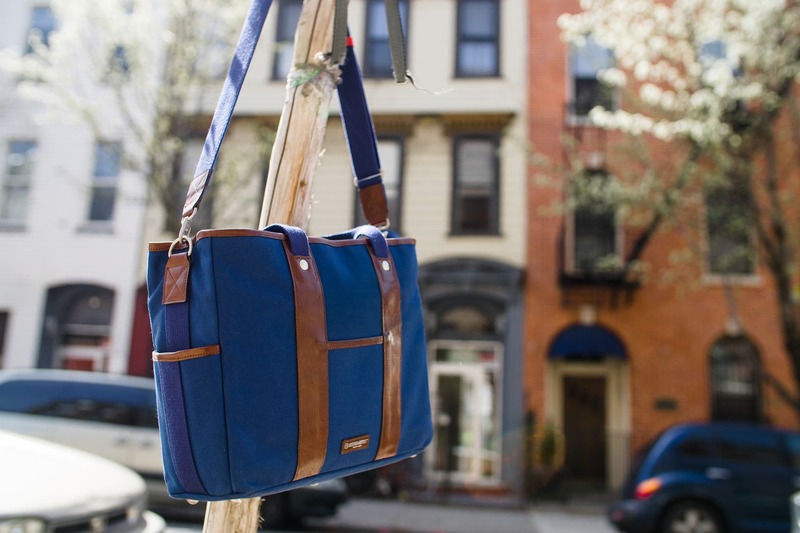 The Artisan and Artist COV 7500N tote camera bag is really quite nice and a refreshing take on the camera bag. Totes are nice and much more versatile than messengers when it comes to social occasions. 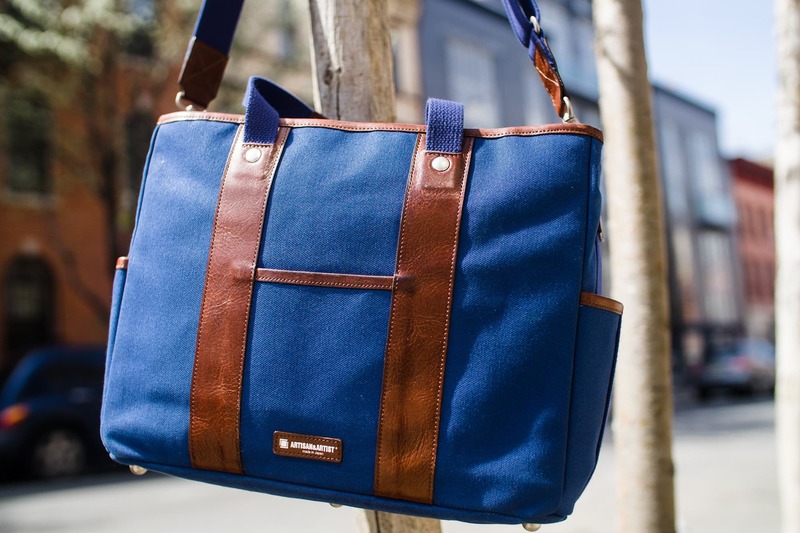 Sure, there are some incredible and beautiful messenger bags out there, but as society moves ahead, so too does the technology that we use. The COV 7500N doesn’t look like a camera bag in any way, and you wouldn’t necessarily be able to tell that it is one otherwise. Camera bags are otherwise quite simple to tell by this point because of specific shapes, like the Think Tank Retrospective series. The average person wouldn’t take one of those around because they’re too specifically designed for camera bag use. Otherwise, the bags that are more versatile and can do more than that are what may make you less of a victim. We award the Artisan and Artist COV 7500N four out of five stars. We strongly recommend one for the discerning shooter.